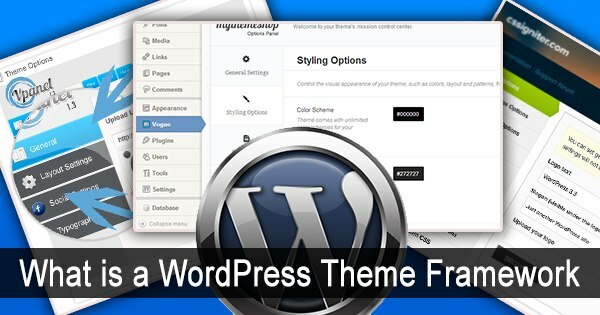 BloggingTips.Guru WordPress What is a WordPress Theme Framework? ‘What is a WordPress theme framework?’ – The number of times you hear people asking that question! 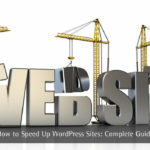 Are WordPress frameworks easy to understand? Yes! Are they easy to explain? No! Well, yes and no. It depends on how you try to describe their function, and getting technical with regard to static and optional features of a WordPress theme framework can seriously confuse people. Let’s get down to basics and make sure that you fully understand what WordPress frameworks are before looking at some options. Consider a house. Assume you are designing houses with a view to selling them to your clients. These clients could be developers, who will use your basic design and then adapt it to suit their specific needs before selling it to the end user – the occupier. Your house design will have a kitchen, a living room, three bedrooms and a bathroom. Your developer might change a bedroom to a larger bathroom and shower room, or add an en suite. They may decorate the rooms to attract their clients, but these house buyers are able to change the external and internal décor and add some functional items of their own choice. In this example, the house design is the WordPress theme framework, the en suite is added by the web developer and the décor, or the way the house looks to visitors, can be customized by the buyer (header, fonts, etc). The accent pieces are the widgets and so on. However, the basic structure and functionality of your home will always remain the same. That is what a WordPress theme framework is: the basic structure, around which clients can build their own websites or blogs. So what are the advantages of using a framework and what disadvantages are associated with the constriction this imposes on you? Community Support: The first advantage is that, if you use a particular theme, you have a wide community using the same theme that offers lots of free support, and your problems should be easily resolved. Framework Functionality: Frameworks are provided with a range of functionalities that you do not have to add yourself. Examples are widgets, standard themes, certain SEO elements and means of creating and editing pages and posts. Easy Development: You can easily develop a website or blog by avoiding the coding required to create the framework. Easy Child Theme Creation: The framework can be used to create child themes to which any framework changes or upgrades will automatically apply. Redundant Coding: The largest issue with frameworks is not even an issue: it is the redundancy of coding that will not be used by a developer. This takes up storage space on your disk but cannot be removed unless you are certain of what you are deleting. Learning the Language: It is generally necessary to learn the language used in the framework. Hooks and filters, for example, vary between frameworks. Knowledge of this is essential when coding child themes. Limited Customization: There is a limit to the customization that frameworks allow. The argument that could be made is that if you want more extensive customization then don’t use frameworks but code from scratch! There are several frameworks available, both free and commercial. Prices vary from free upwards, and if you are new to using frameworks you are advised begin with a free version. Bones is a good free framework, based on the HTML5 boilerplate, 960.gs Grid and CSS3. This is excellent if you want to create HTML5 themes, and because it is open source there is a lot of expert support online. Thematic is another free WordPress theme framework. It is easy to use and comes with a sample child theme that is very easy to adapt to your own needs. There are other free frameworks available but these are two that are simple to use. Of the paid themes, it depends on what sum you are prepared to pay. Thesis is one which offers single or multiple license options ($87-$164). Thesis offers up to three columns, and a panel offering a range of customization along with the required coding. Headway Themes are priced $89 – $199, and the Genesis WordPress framework is $59.95 for unlimited sites. Quite frankly, the theme you use will depend on your needs. Individual theme meets the requirements of individual developers, and each uses that which best enables them to achieve their desired objective. 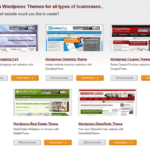 Yes, they might cost, although you can get free WordPress theme frameworks. Yes, the learning curve can be long, but once you have mastered a particular framework you will gain significantly in development time. Drag-and-Drop functionality can save you hours of painstaking coding and you will have access to all the most modern SEO tools and widgets. The function.php and style sheets enable you to easily add customized functions and create child themes. Child themes will be immediately updated when the parent framework is updated. So the answer to ‘What is a WordPress Theme Framework’ is easy to answer. It is how you use the WordPress framework that matters to you.